Thermal bath Bešeňová is 20 km away from the LIMBA pension, in the direction of the town of Ružomberok. Geothermal springs span from a depth of 1987 m and reach a temperature of up to 61°C. 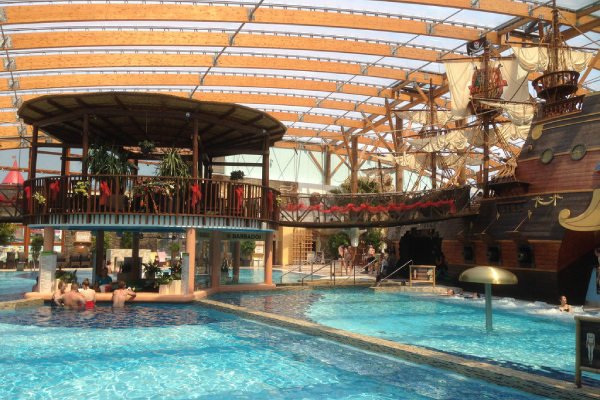 It is the largest aquapark in Slovakia, Czech and Poland, and because of its location it is easily accessible from border crossings. The LIMBA guest house is 12 km away. It is located on the northern bank of the Liptovská Mara dam. Thermal bath Bešeňová is 20 km away from the LIMBA pension, in the direction of the town of Ružomberok. Geothermal springs span from a depth of 1987 m and reach a temperature of up to 61 degrees. Bathing is cooled to a temperature of 36-40 degrees. Due to the higher content of lithium, water has beneficial effects on the psyche, otherwise it has beneficial effects on the musculoskeletal system, urological problems and the condition of the skin. 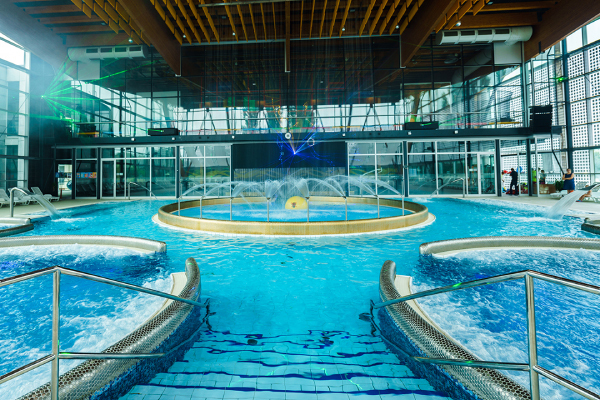 Thermal swimming pool Bešeňová provides, besides 5 indoor and 13 outdoor swimming pools with different water temperatures, adrenaline – entertainment zone, playground, relaxation massages, fitness, restaurant and accommodation. The area includes a relaxation room and massages. Thermal bath Bešeňová for its location is visited by tourists from Poland, Hungary and Czech Republic. Open: Thermal bath Bešeňová has a year-round operation daily from 10.00 to 21.00. Info: If you are looking for relaxation, relaxation and peace, the Bešeňová Thermal Baths are perfect for you. The atmosphere is peaceful, so the Bešeňová Thermal Baths are looking for older people. Water is iron-colored to brown, so use old swimsuits. Food and Drink: The area is well cooked, you do not even have to scratch. A refreshment is waiting for you at the bar. In the surroundings of the Bešeňová thermal swimming pool you can admire the natural mineral water extractors, which are medicinal and suitable for drinking as well. It is the largest aquapark in Slovakia, Bohemia and Poland, and because of its location it is easily accessible from border crossings. The LIMBA pension is 12 km away. It is located on the northern bank of the Liptovská Mara dam. The thermal water in the Aquapark Tatralandia reaches a temperature of 26 to 38 ° C and has beneficial effects on the motion and respiratory system. The source of thermal water is the spring at a depth of 2500 m at a temperature of 60.7 ° C. The Aquapark Tatralandia offers 14 pools, 28 toboggan runs with slides. The Aquapark Tatralandia is a water massage, spirits, soldiers, water swings and beds, water volleyball and basketball, 13x sauna, vital relaxation water world, relaxing massage, climbing wall with waterfall, children’s playground, children’s pool with Amazon Castle, restaurants and animation program throughout the day. Food and Drink: The Aquapark Tatralandia will allow you to swim up to the food. Info: There are 14 pools with thermal, sea and clear water, 28 toboggans of varying intensity, the new indoor tropical complex Tropical paradise, Celtic sauna world, Wellness paradise, 5D cinema, 3D golf, Fun and Game zone. . ATTENTION: entering the vital world is only for adults. Spa Lúčky lies in a mountainous, south-facing valley, under the slopes of Choča, on the border of Liptov and Orava, at an altitude of 621 m. In 2008, the spa has built a new AQUA – VITAL park all year round, which includes a seating pool with 36 – 38 degree thermal water healing, a recreational pool with a water temperature of 28 – 33 degrees with various attractions (air seats, countercurrent, , water jets, massage jets, water spouts, underwater lighting) and the sauna world (Finnish sauna, Mint sauna, Roman steam bath, Kneipp bath and tepidarium). There is a divided indoor mineral pool with a temperature of 33-35 degrees. The park includes a snack bar with a wide range of meals and drinks with a la carte and banquet for closed companies. Child under 3 years of age free of charge! 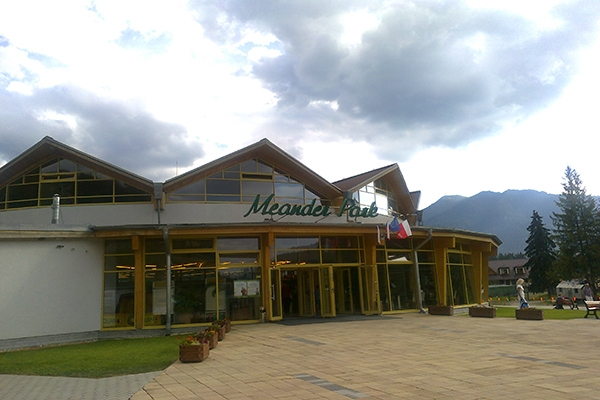 Located in Poprad, 60 km away from the LIMBA. 50 degrees Celsius warm and crystal blue water evolved from a depth of 1300 m. It is rich in calcium, magnesium and has beneficial effects on the movement and respiratory system, arthrosis as well as beneficial cosmetic effects. The Aquapark is also suitable for sport-based people. You will find a 50 m long indoor swimming pool, fitness, tennis courts, volleyball, minigolf, water slides. Relax in the floral, salt, steam, mint-sauna. Part of the aquapark is also the Vital World, where you will find a whirlpool, tepidarium, a snow cave, relaxing relaxing pearl pools. There is no hotel, restaurant, and rich animation program at Aquacity. Throughout the Aquacity complex there is a modern turnstile system on the principle of waterproof wrist chips, so you can swim comfortably, open the locker in the dressing room or pay your bill in the bar or restaurant. Info: The Aquacity area is also adapted for immobile visitors. If you are not in the mood for a wild ride through the toboggan run, you can visit the Vital World. A floral, salt, steam, mint or Finnish sauna is waiting for you, refresh yourself in a whirlpool or try ice and tropical rain, surprising for you will be a snowy cave. Decrease stress, rejuvenate and re-energize. Food and Drink: You can find refreshments in the bar, which is part of the vital world, and hunger in the hotel’s Aquacity restaurant or in the buffet. ATTENTION: In the vital world, children are allowed to enter only with an adult. A relatively undemanding hike with a slightly strenuous exit to Prosek. The route belongs to the most popular routes on Liptov. The culmination of the experience is the output of a limestone rugged ladder at the end of the Prosiecka Valley. It is the 3rd highest peak of the Western Tatras. This is a demanding alpine hike with a steep and strenuous exit. 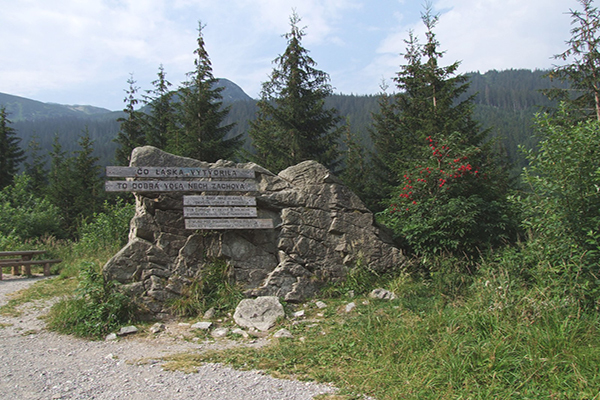 The tour starts at the beginning of Žiarska dolina, about 26 km from the Limba. In good weather, this is an unpretentious mountain hike with a very favorable profile. Part of the exit can be covered by the chairlift. Take the tour from the valley station of the chairlift behind the SKI Hotel, about 10 km from Limba. It is a classical medium-sized ridge hike, the difficulty of which is more than its length rather than its articulation. The start begins in the village of Liptovské Revúce, about 57 km from the Limba boarding house, along the red trail to the Black Stone (1266 m.), Then from the green sign to the top Ploska (1532 m.), From here the trail continues through the educational trail of Hřebeň Malá Fatra. It’s the toughest but also the most beautiful hiking spot. After the red mark on the Ostredok, Krížna and Rybovské sedlo. From there the green sign to Suchej Valley and the asphalt road to the village of Liptovské Revúce. Total 8.45 hrs. The route can also be planned as a two-day hike with the possibility of overnight stays in the chate under Borisov. Do not underestimate the warm clothes, the timetable and the sturdy hiking shoes. A relatively easy hike with a slightly strenuous exit to Prosek. The route belongs to the most popular routes on Liptov. The culmination of the experience is the output of a limestone rugged ladder at the end of the Prosiecka Valley. The entrance is at the end of the village of Prosiek, about 29 km from the Limba. Here begins the educational walkway, which leads to the sprawling Vrat and the valley that has the character of the dry river. The terrain is bouldering. The output of the valley takes about 2 hours. when you come to the waterfall. 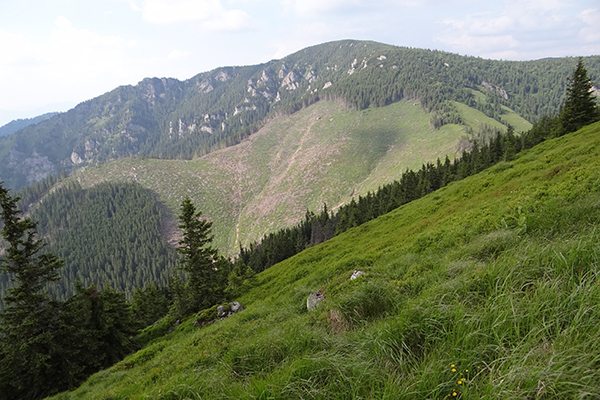 From here, the ladder begins the last 800 m to Prosek (1372 m). From there, down the meadow to the Oblazy mill by the serpentines alongside the village of Veľké Borové. After a tour of the mills, you continue through a steep hill to the Kvačianska valley and then by an asphalt road about 2 hours. the sprawling valley to the village of Kvačany. Total 6 hours. The tour can also be used by children from 10 years of age. 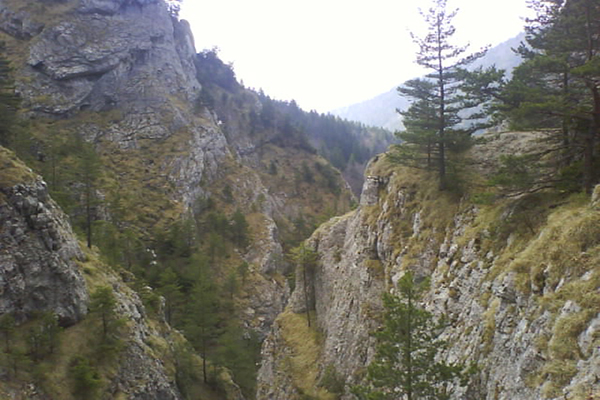 Both valleys have the character of the canyon Prosiecka is a rocky, Kvačianska leads through a leafy forest. Due to the surface, you need a solid shoe at the entrance and exit of the valleys to refresh your buffet. WARNING: It is best to use a bus connection as the arrival and end of the tour are in different places. It is the 3rd highest peak of the Western Tatras. This is a demanding alpine hike with a steep and strenuous exit. 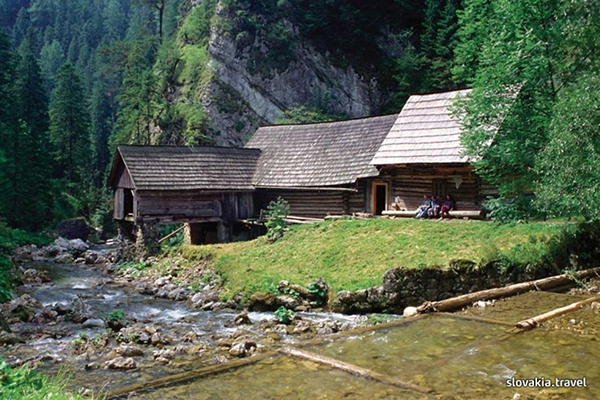 The tour starts at the beginning of Žiarska dolina, about 26 km from the Limba guesthouse. From here, you will get a yellow marker, which will take you to the forest walkway. Serpentines get off the Old Wing ridge (1299 m), continue the ridge to the ridge, the stone footpath leads you to the top of Baranca (2185 m above sea level), from where you continue downhill to Ziarske sedlo, from which you have a magnificent view of Rohace, and then connect to blue you will reach Žiarská chata. From here downhill down about 5 km. Total: 7.15 hrs. The hike is demanding, it mostly leads to the West Tatras ridge, you need warm clothes, a raincoat, a sturdy hiking boots. Possibility of refreshment on the way to Žiarská cottage. It is also possible to get on the tour by car as you return to the same place. The hiking is challenging, mostly on the ridge, so do not underestimate warm clothing and sturdy hiking shoes. If you want to go by car, you have to go from the top of Krakow’s hole to the same route. In good weather, this is an unpretentious mountain hike with a very favorable profile. Part of the exit can be covered by the chairlift. Take the tour from the valley station of the chairlift behind the SKI Hotel, about 10 km from Limba. The cable car can be reached below Chopka peak. Better tourists can take this distance on foot. Under the peak of Chopka (2024 m.n. 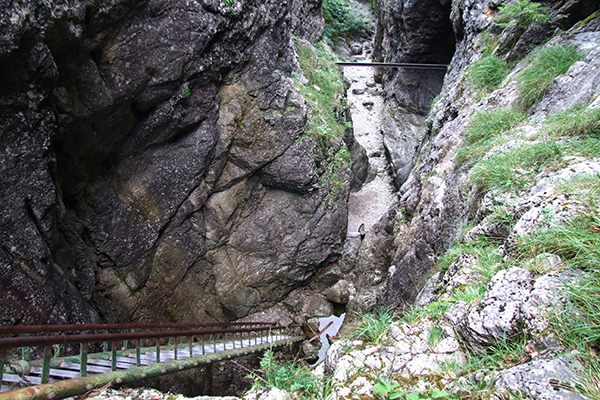 ), take the stone paveled walkway through the ridge Low Tatras on the red mark. You do not have to stumble because you still have a ridge. From Chopka, the route slightly drops to Demänovský saddle and from there the last 300 meters high up to the highest peak of the Low Tatras Dumbier (2065 m). Journey back along the same route. Total 5 hours. With the help of the chairlift, your children can accompany you on this trip from the age of 10. Do not underestimate warm clothing and sturdy hiking shoes. If you have been exterminated, under the ridge of Dumbier you can have a refreshment at Chate M.R. Štefánik, or you can also be accommodated there. 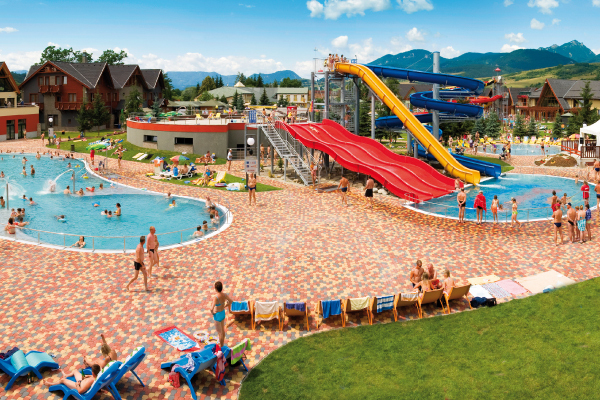 Thermal park Besenova is 27,5 km from Pension Limba,in a direction to town Ruzomberok. Geothermal springs are going up from a dept of 1987 meters, and the temperature of these springs reaches around 61°C. . The thermal swimming pool Vrbov is located in the valley of the Vrbovský brook, 82 km from the Limba. There are 10 pools with a water temperature of 26-38 degrees. Thermal bath Bešeňová is 20 km away from the LIMBA boarding house, in the direction of the town of Ružomberok. Geothermal springs span from a depth of 1987 m and reach a temperature of up to 61 degrees. Bathing is cooled to a temperature of 36-40 degrees. Due to the higher content of lithium, water has beneficial effects on the psyche, otherwise it has beneficial effects on the musculoskeletal system, urological problems and the condition of the skin. Thermal swimming pool Bešeňová provides, besides 5 indoor and 13 outdoor swimming pools with different water temperatures, adrenaline – entertainment zone, playground, relaxation massages, fitness, restaurant and accommodation. The area includes a relaxation room and massages. Thermal bath Bešeňová for its location is visited by tourists from Poland, Hungary and Czech Republic. 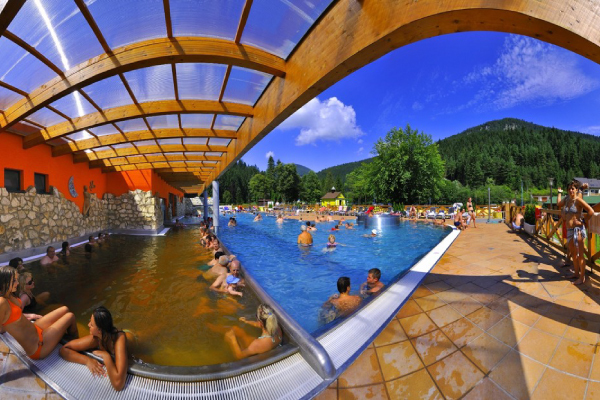 The thermal swimming pool Oravice is located at the border of the regions of Liptov and Orava, near the border with Poland, not far from Zakopane. The LIMBA guesthouse is 59 km away. The thermal swimming pool has a very pleasant location, as it is located on the edge of a forest in a quiet mountain environment. The water reaches a temperature of 36-38 degrees. There is a sports pool, a large and small relaxation pool, a cooling pool, a children’s pool, a whirlpool and a water slide, a beach volleyball court, snack bars. Open: Thermal bath Oravice has a year-round operation daily from 10.00-20.00. Info: If you are looking for relaxation and peace, the Oravice thermal swimming pool is perfect for you. Atmosphere colors the mountain environment. The water has a brownish color, so we recommend using older swimsuits. Food and Drink: Meals are fast food. ATTENTION: Parking directly in the area, but for a fee. Thermal bath Liptovský Ján is 19 km away from the LIMBA boarding house. The village of Liptovský Ján was already in the 19th century a well-known spa center. The thermal spring at 26-29 degrees has a high sulfur content, which gives it a beneficial curative effect on the locomotive system, female, skin, nervous and metabolic diseases. Rudolf spring is suitable for drinking. Thermal bath Liptovský Ján is built at the end of the village of Liptovský Ján in the area of ​​Sorea Máj Hotel. It consists of a 50 m swimming pool, a children’s pool, a relaxation – quiet pool with a fountain, sports facilities and restaurants. In case of bad weather, visitors can use the indoor pool with thermal water in Hotel Maj, along with massages, sauna, solarium. The novelty is the sea bath – a fine spray shower that has beneficial effects on strengthening the immune system and purifying the airways. Open: Thermal bath Liptovský Ján is in operation during the summer months daily from 9.00-19.00. WARNING: Every Monday is closed. Water exchange is taking place. Info: It is suitable for families with children of any age category. For the youngest you will find a swimming pool with hot chlorinated water. Young and medium-sized generations find fun in a 50-meter mineral water swimming pool or be pleasantly massaged with water falling from a water mushroom, those born sooner can happily and indulge in the seating pool. Food and Drink: No Fear. In the area of the thermal swimming pool you will find a self-service restaurant with a choice of hot meals, or you can prefer the buffet and ice cream parlors. 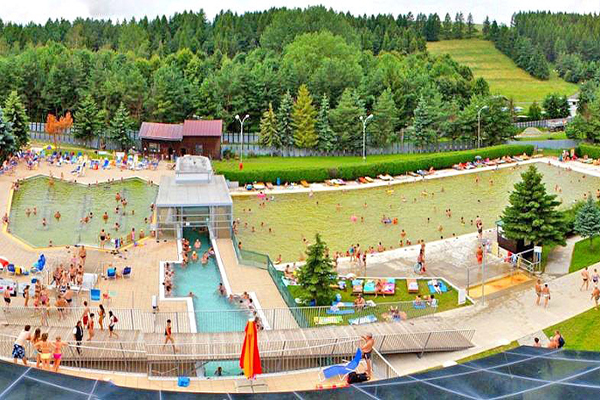 The thermal swimming pool Vrbov is located in the valley of the Vrbovský brook, 82 km from the Limba. There are 10 pools with a water temperature of 26-38 degrees. According to expert opinion, this water is considered the most curative in Central Europe. It has a very effective effect on up to 12 types of diseases, including bathing and drinking. It has beneficial effects on the movement and nervous system, respiratory and cardiovascular system. Open: Thermal swimming pool Vrbov is open all year round, in the summer months from 9: 00-22: 00, in the winter season from 10:00 to 21:00. Ski resort SKI PARK Malinô Brdo is 37 km west of LIMBA. Ski Park Malinô Brdo lies at an altitude of 545 to 1209 m. The grassy grounds of Ski Park Malinô Brdo guarantee operation even in less favorable weather. 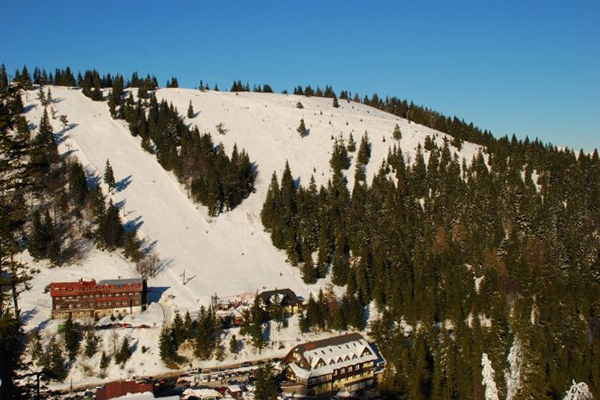 The ski resort is 20 km from the Limba guesthouse at the end of the village of Závažná Poruba. Resorts Závažná Poruba Opalisko is a training center for cross-country skiing and downhill skiing. The Žiarska valley resort is located at the end of Žiar in the mouth of the Žiarska valley, 10 km from Liptovsky Mikulas, 22 km from the Limba. There are 2 ski lifts with two slopes in the area. Čertovica is an important ski resort, situated 24 km from the town Liptovský Hrádok in the mountain pass, 48 km from the Limba boarding house. The ski season in Certovica lasts 120 days from December to April. Family type Javorovica is located behind the village of Liptovsky Jan, 19 km from the Limba. The resort offers 45 km of well-groomed slopes of varying difficulty, suitable for beginners, families with children, advanced skiers as well as for world-class racing. A modern 27 km snow system guarantees snow for at least 5 months. At Chopk there are 30 cableways and medical centers with a transport capacity of 30,000 people per hour. 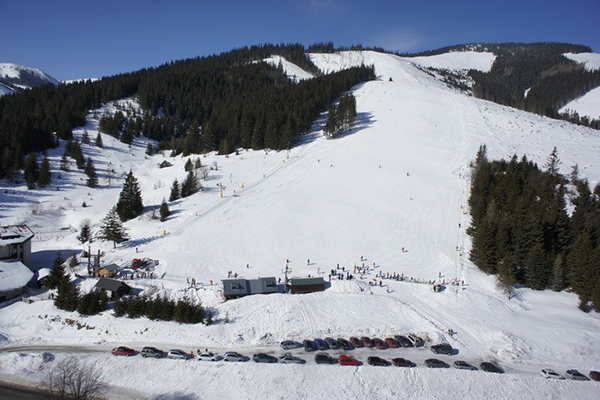 The most popular new six-seat and slope “FISKA” are located in the center of Záhradky. In the Jasná Low Tatras, several FIS World Cups were held in alpine skiing. So far, the winner of the Ingemar Stenmark in the Jasná Low Tatras is the biggest winner in the big slalom. Snowboarding is green in Jasna Low Tatras! For snowboarders, trails and especially seats are prepared. The resort is located about 20 km from the town of Liptovsky Hradok in the picturesque valley of the mountain pass, 43 km from the Limba guesthouse. Vyšná Boca resort is a ski training center with 3 tracks of varying difficulty and 3 ski lifts with a capacity of 1800 persons per hour. Its grassy soil provides the possibility of skiing until the spring months. It is accessible both by car and by bus. Ski slopes are adjusted throughout the skiing season. Every year, the UNI FIS European Cup races are held here in men’s and women’s slalom, and the MASTERS Slovak Downhill Ski Cup. Skiing in Vyšná Boca can be enjoyed on landscaped but also natural slopes. Ski resort SKI PARK Malinô Brdo is 37 km west of LIMBA. Ski Park Malinô Brdo lies at an altitude of 545 to 1209 m. The grassy grounds of Ski Park Malinô Brdo guarantee operation even in less favorable weather. The slopes are artificially snowy and offer the possibility of night skiing. The center can be reached by cable car from the parking lot at the Hrabovo Hotel. The ski resort has an 8 – person cable car, four – chair lift, 4 ski lifts for children and beginners, 2 ski lifts. The length of the downhill runs is about 12 km. Tracks are edited daily. There is a free ski bus and parking, a ski school, a ski rental, a ski service and restaurants. Ski Park Malinô Brdo is an intensely developing resort. On the way home we recommend to visit the thermal swimming pool Bešeňová, which, despite being a smaller resort, offers attractions for children! 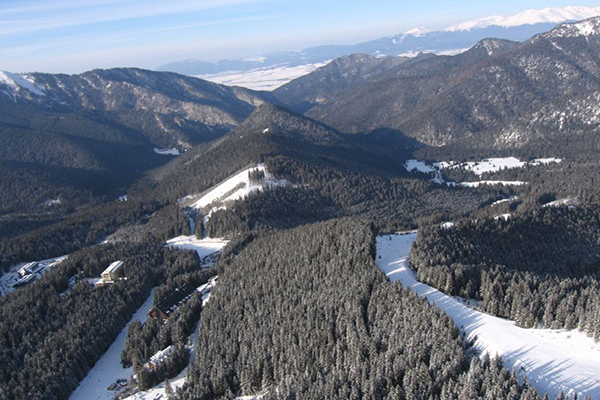 The ski resort is 20 km from the Limba guesthouse at the end of the village of Závažná Poruba. Resorts Závažná Poruba – Opalisko is a training center for cross-country and downhill skiing. Accessible by car or bus. There is a marked cross-country skiing track, 5 artificial snow-covered lifts, 4 lifts and a chair. There is a children’s area, a toboggan run and a ski slope. Very popular small resort especially suitable for families with children. Parking in a close distance to Závažná Poruba – Opalisko. The advantage of the resort Závažná Poruba – Opalisko is always a modified running track, located next to the ski lifts. The Žiarska valley resort is located at the end of Žiar in the mouth of the Žiarska valley, 10 km from Liptovsky Mikulas, 22 km from the Limba. There are 2 ski lifts with two slopes in the area. 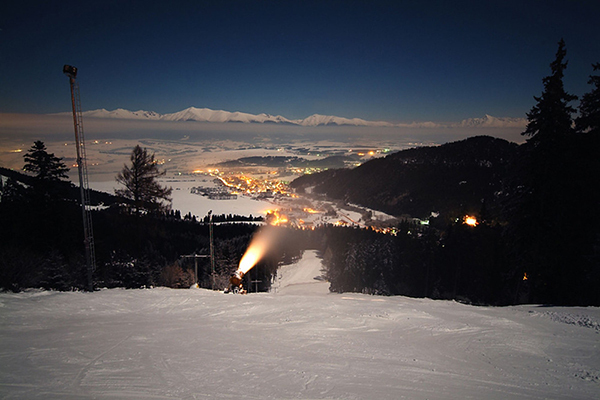 The slopes in Žiarska Dolina are artificially snow-covered, landscaped, illuminated and offer the possibility of evening skiing. The resort includes a car park and quick snacks. The resort is suitable for families with children. Žiarska valleyis a paradise for cross-country skiing lovers. It is also a suitable ski-sloping terrain, which is located at the end of the valley. 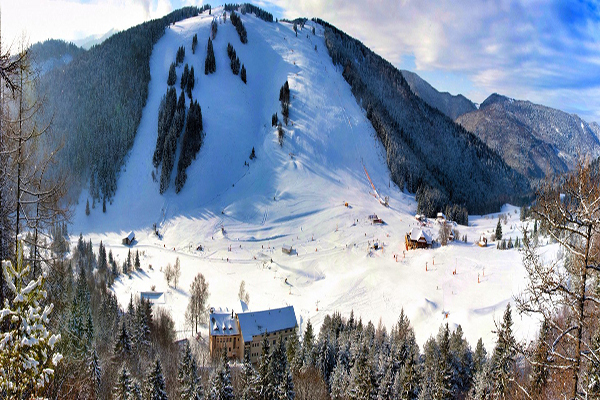 Žiarska valley regularly hosts important international skiing races. Sports as skialpinism is very popular and preferred in this locality. The quiet beauties of the winter in this area are an oasis for soul and body room. Čertovica is an important ski resort, situated 24 km from the town Liptovský Hrádok in the mountain pass, 48 km from the Limba boarding house. The ski season in Certovica lasts 120 days from December to April. The trails in the Čertovica resort have a grassy background, they are artificially snowed and treated. 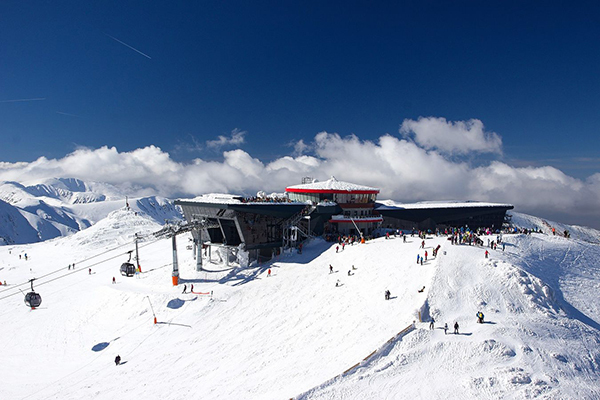 The 450-meter long ski lift offers skiing or snowboarding on 2 slopes of medium difficulty. A small ski lift of 120 m is designed for children and beginners. Besides classical skiing, there are good conditions for cross-country skiing and skiing. There is a ski service, ski rental and equipment, restaurant facilities. On the way to Čertovica, the Barbora Hotel in Vyšná Boch has a ski lift with a very good track, where, among other things, the FIS skiing is held regularly, for its high level of articulation. Family type Javorovica is located behind the village of Liptovsky Jan, 19 km from the Limba guesthouse. The ski season in Javorovica lasts from December to April, as slopes are artificially snowy. 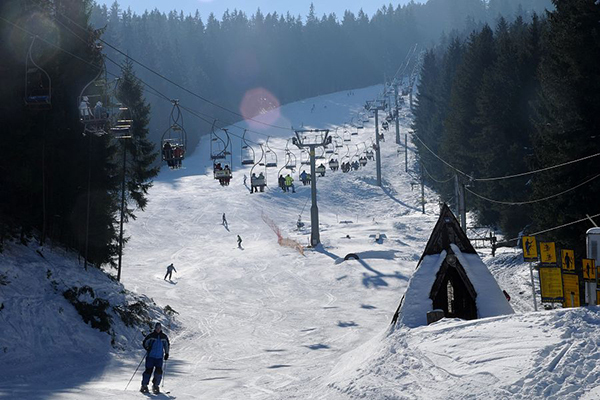 The Javorovica resort offers 3 ski lifts of varying difficulty on ski runs up to 900 m long, ski school and ski school. Liptov offers the optimal conditions for cyclists, as the highway runs from Ivachnova to Važec through the Liptov region, so the other roads are with less traffic density than created for this sport. If you go to the region of Liptov on any side of the world, you will find an attractive mountain landscape. Hiking can also be a good relaxation. Most hiking tours go through national parks, landscape areas and protected areas. The entrance to the valley is at the end of Liptovská Kvačany, about 20 km from the Limba guesthouse. Here you park your car and continue asphalt way up the Kvačianska valley above the canyon of the Kvačianka River. This destination is closest to the Limba just under 4 km. Starting on the tour starts 150 m under the guest house Limba behind the campground. The path leads along the meadow and field to the village of Demänová. This hiking trail is 30 km from Limba. It starts in Ružomberok in the recreation area of Hrabovo. You can park your car and take a cable car to the Malinô Brdo valley. Route to get to the guesthouse Limba continue the main road to the valley about 500 m, then turn right behind the bridge to the right, uphill the gravel terrain. You will get to the cottage area that leads the field path. In the middle of the way you turn left at the bottom of the forest and get to the village of Pavčina Lehota. By the asphalt road you return from the village to the crossroads and to the Limba. Cycle route Penzión Limba – Pavčina Lehota is the most affordable route suitable for families with younger children. Route to get to Limba, continue to the main road down to the village of Pavčina Lehota, pass through the village to the cooperative and get to the field road through the village to the village of Lazisko. You go up the village to its end, where there is a wooden articular church. It is a light field terrain combined with asphalt road. You return the same route. 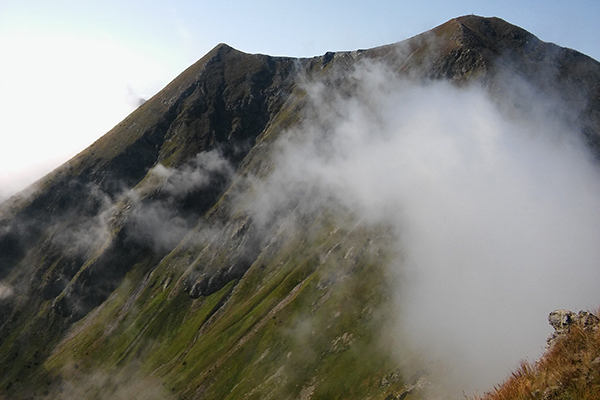 It is a medium-hard route, we recommend it in dry weather for better terrain crossing. Route to get to Limba, continue the main road to the village of Pavčina Lehota to the cooperative, then take a field trip through the hill to Lazisko. 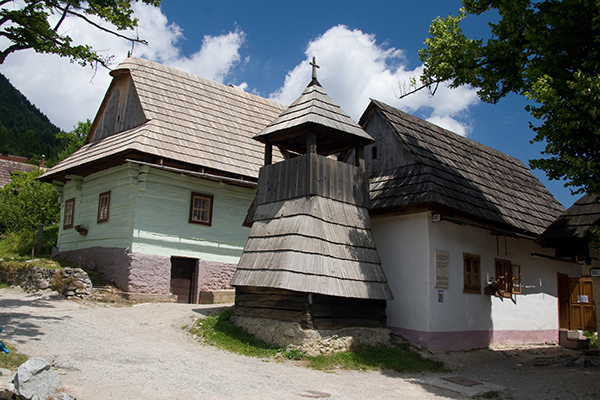 At the end of the village there is a wooden articular church, continue from Laziska by asphalt road to the Mošnica valley. It is a limestone barrier, there is an inaccessible Mošnická cave, a cycle path is bypassed by the hill Sina, which is the dominant of the valley. The route is not frequented, there is a ban on motorized vehicles, nice nature and clean air, only a slight climb. You will come to the conclusion of the valley where the ramp is located. On the same route, you are coming back. It is a medium-demanding route due to the stretch of the road to Lazisko, this route is especially suitable for dry weather. Trasu nastúpite pri penzióne Limba, pokračujete hlavnou cestou do obce Pavčina Lehota k družstvu, tam nastúpite na poľnú cestu cez vŕšok do obce Lazisko. Cez chatovú oblasť prejdete do obce Dúbrava. Asi v strede obce sa nachádza odbočka vpravo úzkou asfaltovou poľnohospodárskou cestou k cintorínu – vŕšok Šura. Odtiaľ hlavnou cestou č. 18 do obce Lazisko a poľnou cestou späť do Pavčinej Lehoty. Trasa má dĺžku cca 20 km. Jedná sa o náročnejšiu trasu hlavne na vzdialenosti, odporúčame pre cyklistov s dobrou kondíciou. Route to get to Limba, you will go about 150 m down and you will pass the camp at the hotel Bystrina. Here you go down the hill to the hill Rohačka and you will reach the village of Iljanovo. At the end of the village there is an entrance to Iľanovská valley, 5 km long. The asphalt narrow road leads through the valley, around the small dam, with a slight climb to its conclusion. Journey back along the same route. This is a more challenging route, especially its advent after the Rohaka peak is quite demanding. There is a grassy terrain with asphalt road. Route to get to Limba, you will go about 150 m down and you will pass the camp at the hotel Bystrina. Here you go down the hill through the hill around Rohačka Hill and you will go to the village of Ploštín alongside the cooperative. Probably in the middle of the village at the cultural house, turn right and go to the asphalt farm route to the village of Iljanovo and from there to the village of Závažná Poruba. You will go to the end of the village and reach the Opalisko ski center with a slight climb. You can reach asphalt access to Jaslovské Bohunice Hotel. Here you can refresh yourself and return the same route. The route is quite challenging with alternating terrain, it is suitable as a half-day or full-day trip. Route to get to Limba, from there to the main road to Liptovsky Mikulas, take the town in the direction of Liptovský Hrádok, 2 km from the end of the town LM to the right, cross the village Uhorská Ves and under the highway enter the village Liptovský Ján, after entering the village turn to the first branch to the left and you get to the old part of Liptovský Ján, you pass through the narrow streets to the Rudolf spring, you can drink mineral water here. Continue 150 m to the thermal swimming pool, continue along the asphalt road to Janská dolina, 18 km long. Upon completion of the asphalt surface return or for a prolonged continuation direction of Ďumbier. The route is not suitable for children on their own bicycle as part of it runs in a busy way. Route to get to the Limba, from here the main road to L. Mikuláš 5 km, the direction of Háje Hill, railway crossing, beginning of demanding 2 km climbing at the peak of sightseeing and SNP monument, 500 m below the peak to the left by rough asphalt road 1.5 km to the village Smrečany, in the village at the shopping center turn right on the rough asphalt surface, climb 2 km to the village of Veterná Poruba from the intersection crossing the country road to the direction of the West Tatras, in the forest crossroad with asphalt road in the length of 1.2 km to the mouth of the village Žiarska dolina, the possibility to continue with a 5 km long asphalt road to Žiarsky chat. 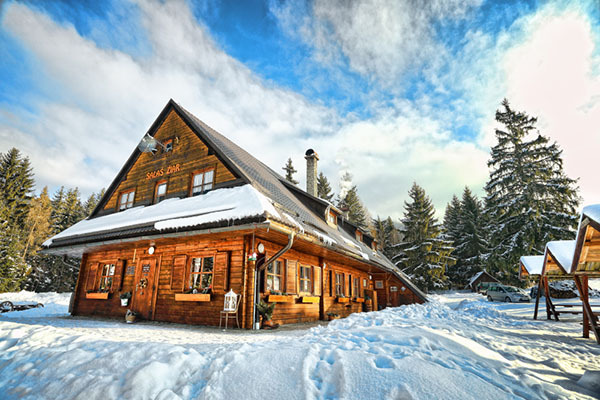 For less efficient return from the mouth to the village of Žiar, visit the chalet with specialties of sheep’s cheese, Smrečany, Podbreziny, Liptovský Mikuláš, Demänovská valley. The route is time-consuming, plan it as a one-day route. Route to get to the Limba, from there the main road to Liptovský Mikuláš 5 km, after the main road about 10 km, for a surcharge in Liptovský Hrádok turn towards Poprad on the way to see the hill Liptovská Maša 12 km intersection on the right direction mountain crossing Čertovica – Banská Bystrica, 100 km after the intersection turn left below the railway underpass to the village Kráľova Lehota, further 18 km direction Svarín around the horse farm Gaburovci (possibility of refreshment), the asphalt on the way up the marking according to the waterworks Čierny Váh. The route is challenging for a distance, planning it as a day trip, beautiful scenery. Route to get to the guesthouse Limba, from here the main road to Liptovský Mikuláš 5 km, along the main road towards Liptovský Trnovec along the water reservoir Liptovská Mara, in the village L. Trnovec turn right, go to the village until its end with the cooperative climb to the mild asphalt by agricultural route 3 km below the forest along the main road to L. Matiašoviec, turn right into the village by way of a visit to the Church of St. Ladislav, back along the main road along Liptovská Sielnica after a 3 km intersection, turn left and along the banks of the lake to Liptovsky Trnovec, visit Aquapark, drop down to Liptovsky Mikulas and 5 km main communication to Limba. The route is suitable for proficient cyclists, planning it as a full day trip. Route to get to the guesthouse Limba, from here the main road to Liptovský Mikuláš 5 km, then take the road no. 18 with a high quality asphalt surface and a low frequency of transport. After 18 km there is a crossing over the highway to the village of Bešeňová, there is the possibility of visiting the thermal swimming pool, the railway continues along the railway line alongside the natural miners of the mines. water, then the village of Potok and the start of the 1.5 km climb, which is the sharpest in this circuit, from the top is the view of Liptovská Mara, from there the smooth descending to the water reservoir and 20 km of wavy terrain along Liptovský Trnovec, the possibility of visiting Aquapark or continue to Liptovsky Mikulas and 5 km to Limba. 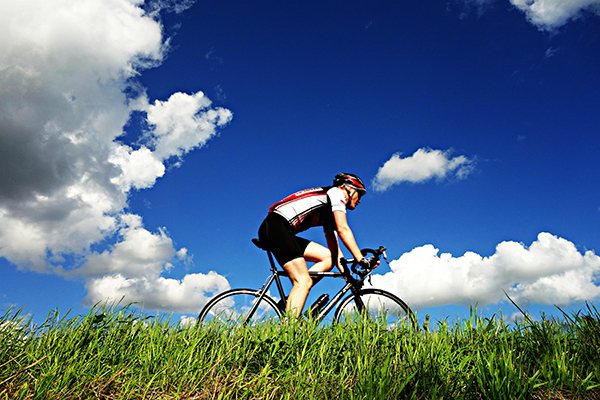 The route is demanding for fitness, suitable for busy cyclists, planning it as a full-day trip. Route to get to Limba, from there the main road 5 km to Liptovský Mikuláš, then continue through local communication to the local part Ondrašová direction village Bobrovec 6 km, behind the village change of the terrain to a narrow asphalt road and entrance to the Bobrovec valley, beautiful nature and view, 2 km until you come to the cottage area, to the left slightly uphill to the stone quarry, followed by a forest stretch of 2.5 km then descending to the village L. Matiašovce, a junction to the left beside the village L. Sielnica arrival to the main road, the intersection to the left direction L. Trnovec ca. 10 km and L. Mary Mary Breath to L. Mikuláš, 5 km to the Limba. 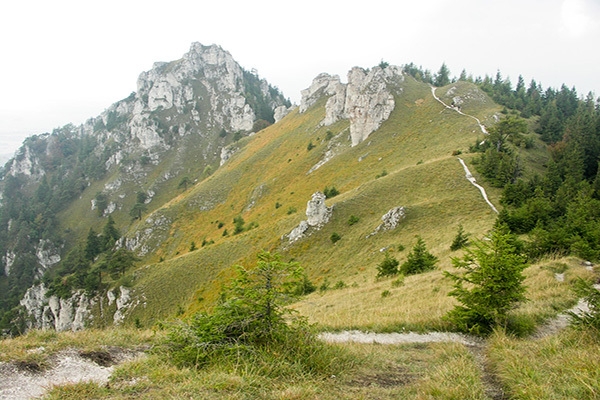 Although the route is demanding, it is one of the most beautiful trails around Liptovská Mary, for a variety of terrain suitable for dry weather. This location is located near the town of Ruzomberok, approx. 25 km from the Limba. There is an educational walkway to the old 13th century castle. under the name Liptovský Hrad – Sestrč. The valley is also the site of mineral fertilizer springs. You can get to the castle by car. From here, continue for about 1 hour. meadow and forest to the fortification. 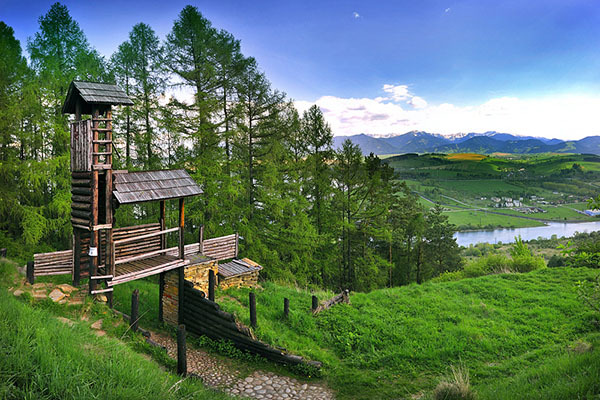 There is a magnificent view of the Liptovská Mara lake and surrounding villages. The ruins of the castle are partially reconstructed. On the same route, we’ll go back to the spring of the strands and you can bathe in the natural reservoir. This is ideal for children, the hiking is unpretentious, interesting and your children will appreciate the opportunity to swim. Have a little bit of food with you, you can not find the restaurant here and the children will be thirsty and hungry. This place lies in the middle of the Demänovská Valley, about 6 km from the Limba. The onset begins under the Hotel Repiská on the left, about 500 m from the bus stop. He continues his deliberation along the Demänovka River, with a rough output of about 2.5 hours. partly by meadow and forest. The mouth at the Vrbické pleso mountain ball at the Mikulášska cottage at the end of the Demänovská Valley. The pleso is a wonderful place to walk around, keeping a pavement with benches around it. Trouts can be seen in the lake. Here is the chance to be cleansed in Mikulášska chata and you will come to the Grand Hotel for about 200 meters. If you have the strength, you can take a downhill run along the cable car or head towards the SNP hotel on the White Pitch and head down to the bus stop. The route is easy on the terrain and can be planned as a day trip. This is a good way to go by bus because you do not have to return the same route. Liptov offers the optimal conditions for cyclists, as the highway runs from Ivachnova to Važec through the Liptov region, so the other roads are with less traffic density than created for this sport. The popular routes are around Liptovská Mary, through Čiernavská valley and Demanovska Valley, and many tourists combine hiking with a bicycle trip. Especially in recent times, the advice of mountain bikers has grown. Road traffic rules must be followed on all roads, in some places you can meet biking trails. The quality of the tagging is different. Many cycling routes have the character of circles, i.m begin and end in the same place. If you go to the region of Liptov on any side of the world, you will find an attractive mountain landscape. Hiking can also be a good relaxation. 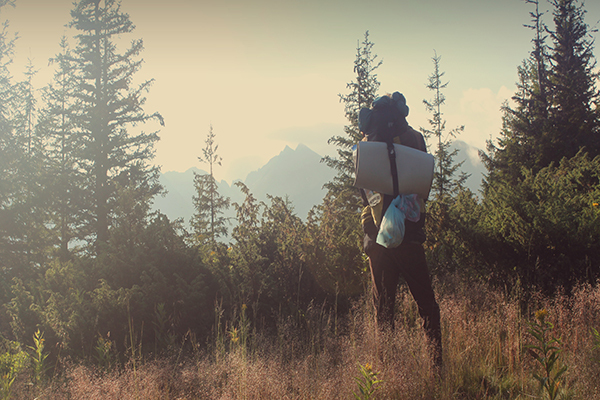 Most hiking tours go through national parks, landscape areas and protected areas. So Liptov offers not only mineral springs, but also mountains. The routes are well marked with yellow, green, red and blue. The advent of Prosiecka Valley is at the end of Prosiek, about 20 km from the Limba guesthouse. You’re wearing your car. The entrance to the valley begins with an impasse, you can cross the flow of the Prosiek River and then continue through the educational trail with a dry riverbed of about 4 km. Approximately 2 hours after climbing, you will reach the waterfall and then continue 1 km by ladders to the Prosečné hill. From here you can go to Huty. You can only go back in the same direction, otherwise you can not get to your car, in the spring months it can be a problem to cross the river Prosiečanka, then you need to wear up the shoes. You can also take care of this hiking trail for younger children, planning it for a day trip. The entrance to the valley is at the end of Liptovská Kvačany, about 20 km from the Limba guesthouse. Here you park your car and continue asphalt way up the Kvačianska valley above the canyon of the Kvačianka River. The path leads mostly to leafy forests and in some places there is the possibility of viewing the canyon below you. After 2 hours. you will arrive at the Kvačiansky mlyn. It is a technical unique from the 19th century. Here you have the possibility of rest, tours and continue to Huty village. You can only go back the way you came, otherwise you will not get to your car. The route is physically unpretentious, with children and elderly people at a slow pace. The asphalt road leads through the valley – you do not need special footwear. This destination is closest to the Limba guesthouse just under 4 km. Starting on the tour starts 150 m under the guest house Limba behind the campground. The path leads along the meadow and field to the village of Demänová. After 1 hour. an unforgiving climb, and a beautiful view of the surroundings, approach the hill of Rohačka with its characteristic bare rocks at its peak. The top is accessible by an undemanding exit and at its foot is a ski resort. 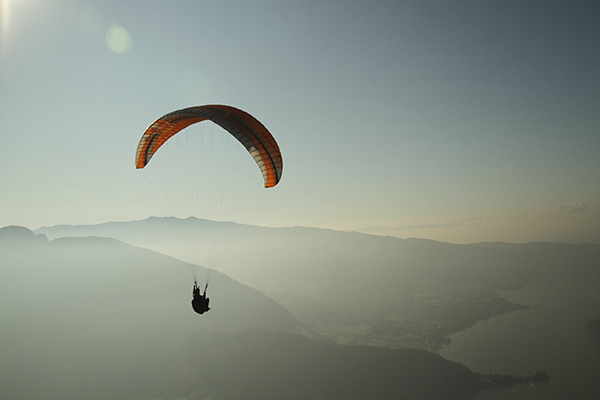 The place is a paragliding training area, and you can take a visual course at a bit of luck. From here you can go to Ploštín or go back to the same route. This is an unforgettable route that I can handle even older children. You can observe the grazing high hunter. 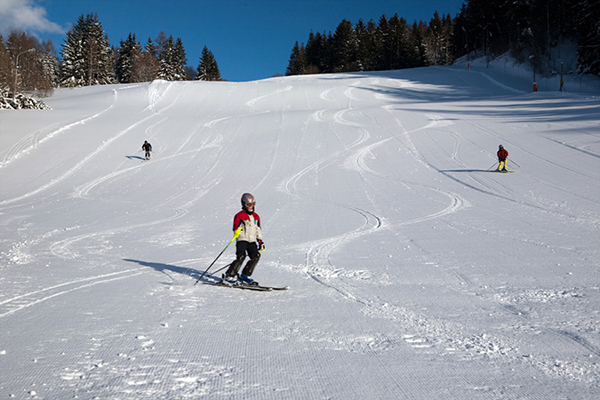 The Chopok Ski Resort is 10 km from the Limba guesthouse. The start begins behind the SKI Hotel. Here you can use the chairlift to Chopok and the last 500 meters to the serpentine rock path to the summit. The more capable of walking from the valley, the output lasts for 3 hours. the slopes of the tourist forest on the interstate Luková and from there the zone of the diaspora to the summit of Chopok 2024 (m.n.). A beautiful view of Liptovská Mara and the Jasná Low Tatras ski area awaits you. Return by cable car or by foot. The route is moderate, requires fairly good conditions. WARNING: Do not underestimate the altitude, ie. warm clothing, hard hiking boots. This hiking trail is 30 km from Limba. 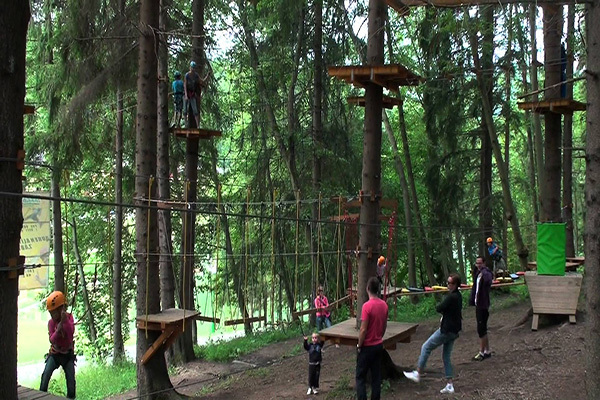 It starts in Ružomberok in the recreation area of Hrabovo. You can park your car and take a cable car to the Malinô Brdo valley. It is a well-known ski resort and also for unpretentious hiking. Go left to the top station of the cable car along the marked pavement and after 1 km you reach the mountain village of Vlkolínec below the hill of Sidorovo. This village is a live open air museum and is part of the UNESCO World Heritage List. During her tour you will see the village well, the bell, you can visit the exhibition House of the House or simply admire the folk architecture, the pastel colors of the painted woodcutters. Go back to Malinô Brdo and either walk by cable car or walk 25 km by the asphalt road through the woods back to the car park. It is a medium-hard route leading mostly by a meadow suitable for children and elderly people. Everything will be enjoyed by the cabin lift. Do not underestimate warm clothing and strong footwear. Fishing is a sport where you can relax, but it also strengthens your nerves. Liptovská Mara is ideal for this kind of relaxation. What fish do you find here? It is one of the most dynamic and expanding sports in recent years in Slovakia. It’s a fast-paced game in which you spend much more effort than other sports. Liptov offers opportunities for relaxation and fitness in this discipline, on different surfaces. If you spend your vacation in Limba, you do not have to stop training. Yachting is a sports recreational activity that you can enjoy in Slovakia, specifically on Liptovska Mare. Liptovska Mara is 15 km from LIMBA. The Pieniny National Park, situated northeast of the High Tatras on the Polish – Slovak border, has been a national park since 1967 and covers an area of 3750 hectares. Limba is 117 km away. Everyone who has horse horses or all who love beautiful animals, the region of Liptov offers the opportunity to get to know them closer and to see Liptov from horseback. Fish: Carp, lamb, rich representation of salmonid fish, but also predators, such as sap, dentist, catfish, blade. Compulsory hunting equipment: length required to find length, hook release, bucket, rod, suitable clothing. Obligations of the fisherman: to have a license with a valid membership mark, a national fishing permit, a fishing permit. Carp water, hunting is permitted from 1.6. to 15.3. The hunter can keep up to 2 pieces. 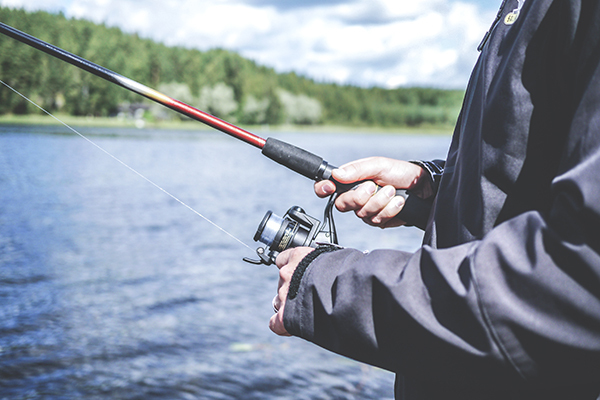 This requires a fishing ticket – weekly: € 1.50, monthly: € 3. It is one of the most dynamic and expanding sports in recent years in Slovakia. It’s a fast-paced game in which you spend much more effort than other sports. This game requires fast movement, perception, dexterity and tactics. Who can play squash? It can be played by women, men or children. A small gym and table tennis are also available at the Squash Liptov. 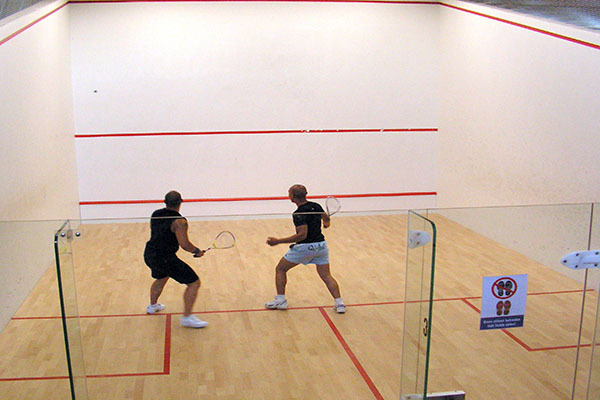 Squash is a game for people with good health. In Liptovsky Mikulas you can find us at the town swimming pool, winter stadium where the squash center is. The Limba is 10 km away. Reservation is provided by the reception. Liptov offers opportunities for relaxation and fitness in this discipline, on different surfaces.  If you spend your vacation in Limba, you do not have to stop training. 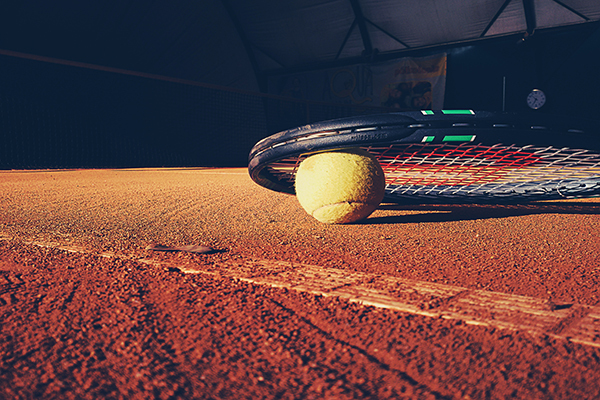 The nearest tennis courts are within 10 km. There are 6 tennis courts in Liptovsky Mikulas, which are located in the town swimming pool, their surface is made of clay, they are very well maintained and are located in the open air. Other courts available at Pavčina Lehote with a clay surface, in Liptovský Ján near Hotel Máj and Bystrá, near Una Pension, also at Hotel Družba in Jasná. In Ružomberok, about 30 km from the Limba, there is a tennis hall. We will make a reservation at the reception! In Liptovsky Mikulas there is a playground for beach volleyball, at the town swimming pool. At Liptovska Mare you can enjoy volleyball with a bath. 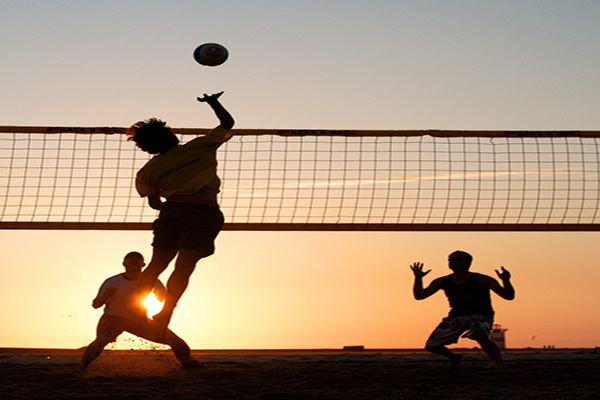 The game just suits you and the ball and the good mood and beach volleyball you can play only in pair with your friend. We will book the booking at the reception. the price ranges from 7 € / hour. Yachting is a sports recreational activity that you can enjoy in Slovakia, specifically on Liptovska Mare. Liptovska Mara is 15 km from LIMBA. 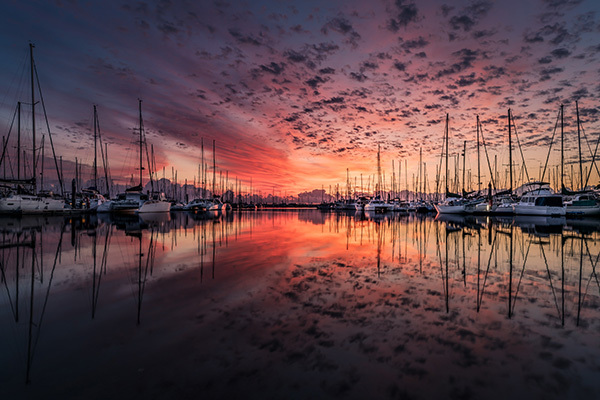 In summer, you have very good conditions to implement your plans for sailing. Access to water is only possible with a special permit issued by the State Navigation Administration and the Váh River if you want to moor on the water. The ship must be registered, have its number. Anchor is only allowed for a fee and only in some bays. The Pieniny National Park, situated northeast of the High Tatras on the Polish – Slovak border, has been a national park since 1967 and covers an area of 3750 hectares. Limba is 117 km away. It spreads over the mountains of Pieniny and Spišská Magura. The vast majority of Pienina Mountains is located in the Polish territory and its smaller southern part extends to northern Slovakia. 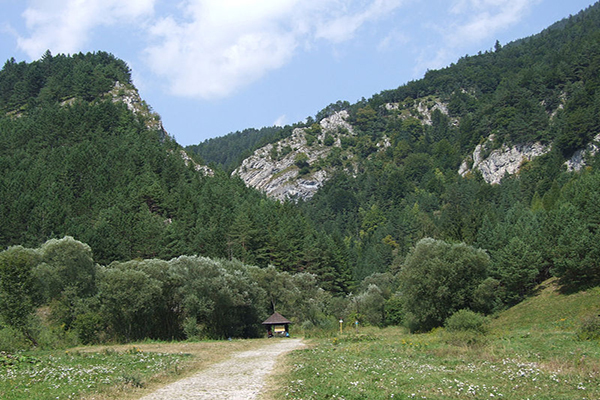 There is the unique karst canyon Dunajca, where the woods were sailed in the past and today these Goral woods are an attractive tourist attraction. There are 3 protected areas: Reservation of Pieniny – Danube riverside, Haligovské rocks, Natural creation – crossing the forest creek. On board you are accompanied by min. 2 weavers dressed in traditional costumes, sailing will make you more enjoyable by singing and music on traditional instruments. One person will have a max. 15 persons. When visiting the High Tatras and the Low Tatras, Bardejov Spa, especially during group trips, join a day trip to the Pienin National Park, where you can enjoy sailing on the Dunajec river in the length of 8-23 km. Price: 9 € / person, students or retirees 7 € / person, children up to 12r-5 € / person. Discount: For group tours, during morning afternoons, guides have free travel. There are also children who can ride the Dunajec River. Anyone who decides to navigate the Dunajec river, gets instructions on how to behave, instructor assigned, everybody gets a life jacket, wearing light sportswear and footwear, dry clothes, a towel, swimsuit. Reservation will be provided by the reception of LIMBA. A tranquil cruise, enjoying the beauty of the surrounding countryside, offers the Váh River in the spring, summer and autumn. On a 12 km long splave, you will notice that the quiet and sleepy faces blend in with the raging sunsets that will test your strength, orientation and coarseness. You do not have to worry! 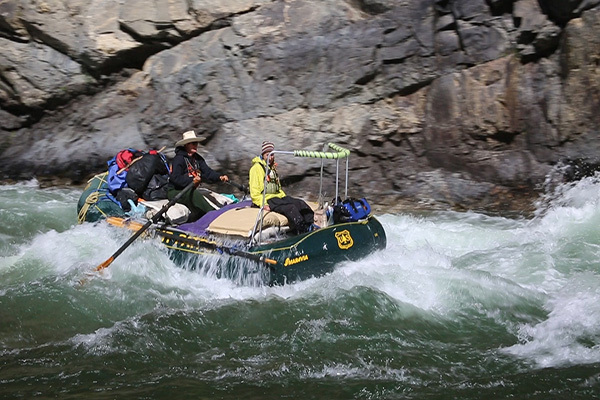 Downstream you will be driven by a 6-person boat that will be instructed by an instructor. If you are interested in trying it yourself, there is no problem. You can also swim the river in a two-seater boat. There are also families with children who can ride the river Váh. Rafting on the river takes 1.5 to 2 hrs., About 12 km. Price: one sluice 25 € / person. Reservations will be provided by the reception of the Limba. 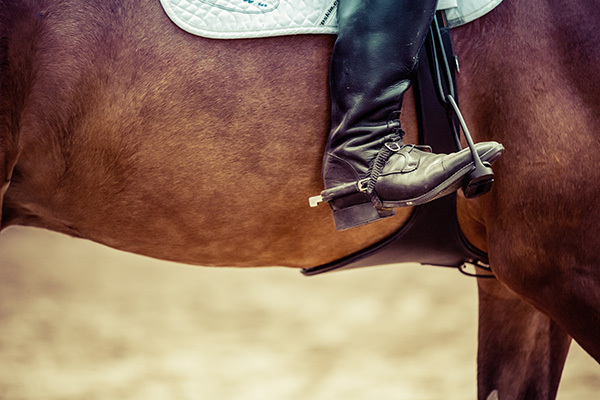 Mutnik – horse riding lessons, horseback riding, pony rides, catwalking, sleigh rides, hypnotherapy. Pavčina Lehota – Pony Farm, which provides the opportunity to explore the Low Tatras during a trip in a cruise. – price from 2 € / 10 min. Reservations will be provided at Limba’s reception. In Liptovsky Mikulas there is a new skateboard / playground / which is accessible all day. You will find it on the grounds of a tennis court, swimming pool, beachvoleybal and winter stadium. Tarzania is 10 km from LIMBA. 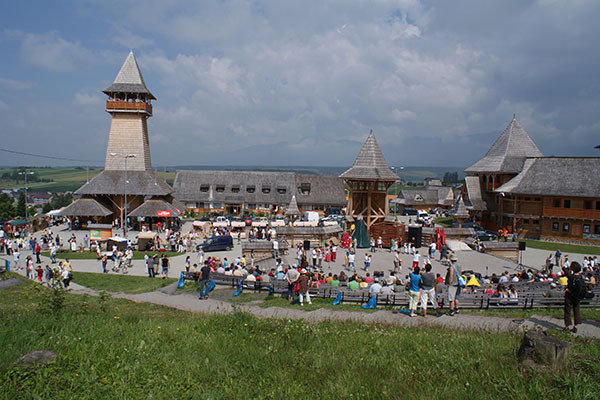 Tarzania is the first mountain park in Slovakia. Tarzania is for everyone who wants to take the proper dose of adrenaline, a slight dose of physical effort and especially a perfect experience. The point of paintball is to achieve a sporting victory, with the exclusion of physical violence. 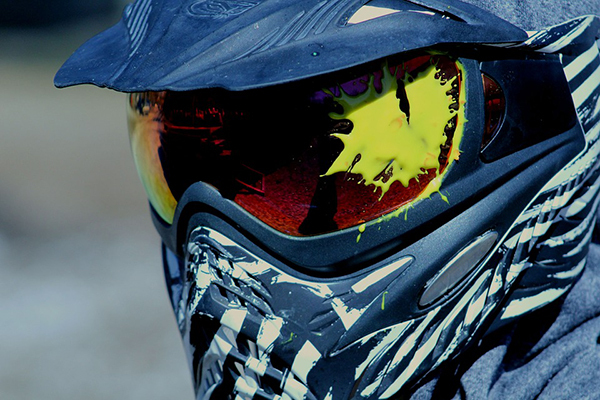 Paintball develops fitness, dexterity, perception and teamwork skills. Paintball, unlike other sports, is a very safe sport. It develops the ability to solve the problem situations, dexterity, strength and persistence of the individual and at the same time exercises teamwork. If you are adrenaline sports enthusiasts, then your holiday on Liptov can not be done without visiting a mountain bobsled track in the village of Pavčina Lehota, only a few miles from the Limba. 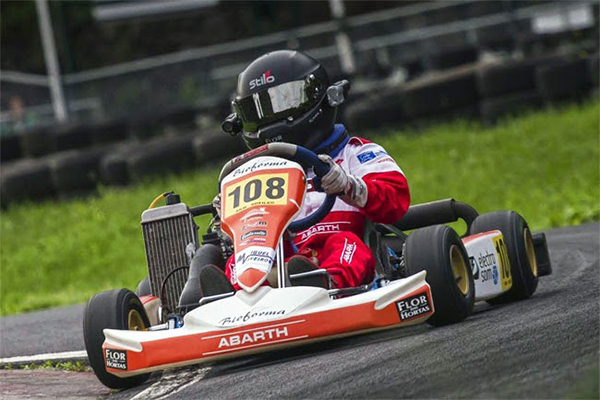 There are two go-karts in the vicinity of the Limba, one in the Paludzka town and the other at the beginning of the village Závažná Poruba.Monaco Granprix in Závažná Porube has a 420m long track and takes about 7 minutes. 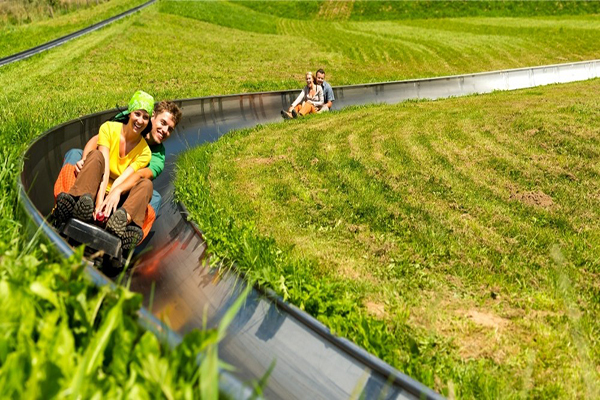 Tarzania is situated 10 km from penzion Limba.Tarzania is the first mountain park in Slovakia.Tarzánia is for everyone who wants to enjoy some adrenalin, excercise, and an amazing experience. Tarzania is built at height of 4 to 7 meters, with 34 platforms and 95 obstacles. During the excercise, everyone is ensured on a climbing equipment. The safety is on first place and everyone is fasten on a steel rope and it is impossible to fall down, or on a tree next to you. Every customer is going through instructions before entering the park. The enter to tarzania is possible for people above 150 cm and is for all age groups. Blue: Tarzania (short and more easy) line-281 m.
Red: Tarzania (longer) line-396 m.
Tarzania is good to overcome a fear. 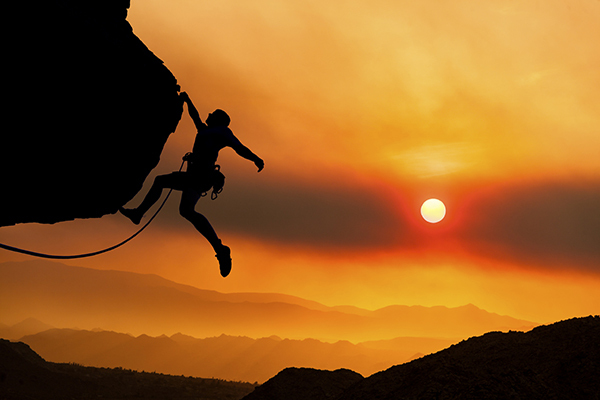 It is amazing for people who are finding some adrenalin and excercise in the mountains. It is also possible to get your route times. Attention:It is closed in bad weather conditions. We recommend to you, try this wanderfull sport.If you had flavour fly like a bird and you did it only in your dream.Paragliding si sport for bold and decive people,who recon with bruises and scratch knee.Our objective is mediation of paragliding for broader range interester with minimum knowledges. Potrebné: immovable shoes a sport clothes. Center is situated 30 km from penzion Limba.Paragliding realizing at the grass on the hill Zvolen 1000 m. n .m.In the season you can go up on the hill by railway. Meaning of painball is achievemnt sporting victory and without fyzical violence.Painball unfolding condition,skill,perceive and ability team work. Painball is very safety sport.When you hold on simply safety rules,can´t be happen,that you will be have some injury,due to interfence mark-ball.Objective of this game is recover maximum amount of point in fix time.The points zou can recover,when you hit your opponent with painball-balls. Open: daily from july – august 10:00 – 18:00. Rockeering come true in region Machatné,distant 6 km from penzion Limba.If you are 10 or more person is nessary inform mountain-club and pay probable charge 500,–1000,-Sk for keepingcleanliness for whole group during turnus.Ascent to rock is unlimited,difficulty 1-8 by choosing line.If you are only 1 to 5 person you can´t inform mountain-club. It´s a perfect spending time with big experience,courage and fyzical effort. If you are adrenaline sports enthusiasts, then your holiday on Liptov can not be done without visiting a mountain bobsled track in the village of Pavčina Lehota, only a few miles from the Limba guesthouse. The total length of the track is 1000 m and it is the steepest track in Slovakia with a total elevation of 120 meters. It’s fun for kids and adults. There are two racing hall near pension Limba, one is in the part of city Liptovsky Mikulas – Paludzka and other one is in the village Zavazna Poruba named Monaco Grandprix.Monaco Granprix is 420 m long and circle is for 7 minutes. Open: All the year from 12.00-22.00hour. Food and drink: you can refresh in the bar and across the window you can watching on the race-course. Attention:Entrance with own motor-car is not possible. It is located about 29 km from the LIMBA guesthouse on the route to the High Tatras at the end of Pribylina. It was created in order to save memorial, historical, movable and immovable property from the municipalities, which were destroyed by the construction of the water works of Liptovská Mara. This jewel of folk architecture is located 21 km from LIMBA behind the village of St. Cross. In his present place he was transported from the village of Paludza due to the construction of the Liptovská Mara reservoir. This 19th-century technical facility is 29 km from Limba and is located at the end of the Kvačianska valley. The entrance to the valley is located at the end of Kvačany. It leads to an educational walkway. 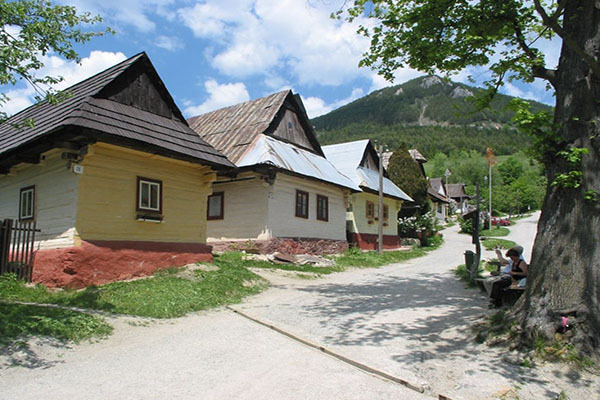 This village, famous for its lively folklore traditions, is located about 39 km from the Limba in the direction of Poprad. Its inhabitants have lived in their native countryside by planting, harvesting timber, charging, cattle. The archaeological site is situated at the top of the store near the Liptovská Mara reservoir. There was a settlement from the Iron Age (300-100 BC). At present there is a reconstruction of a part of the Celtic settlement of Kotínov with a victim from the 1st century BC. The Likavka village is 37 km from the Limba from Ruzomberok to Dolný Kubín. The dominant feature of the village is the ruins of the ancient Likava Castle from the beginning of the 14th century. The castle served as a guard of passage through Vah and a significant business trip from Liptov, Považia and Orava to Poland. Táto rázovitá obec leží na rozhraní Liptova a Oravy pod Západnými Tatrami, asi 47 km od penziónu Limba. Vedie k nej horský priesmyk z obce Liptovské Matiašovce. Obec je strediskom cestovného ruchu s vlastným lyžiarskym strediskom. It is far cca 29 km from boarding house Limba near way toward to High Tatras on the end of village Pribylina. There are memorable, historical, efects and immovable assets from villages which fade when was building dam Liptovská Mara. It was access for public in 1991. Here are houses of artisans, „bezzemok“, school, „požiarna zbrojnica“, „kováčska vyhňa“, reeve´s court. Open-air museum is open whole year. Every Sunday is devoted crafts or folk habbits. Our children can see animal. They can ride a small horses. There are also many souvenirs. The houses are open, you can visit every house. This village is 42 km from boarding house Limba behind the town Ružomberok. It is typical mountain village of Liptov. There are many houses from wood, or colourful woody houses, the roofs coated shide. In the middle of village is bell-tower and manhole. Its name is probably derrived from slovak word “vlk”, i.e. wolf. Vlkolinec has been listed as a UNESCO World Heritage site since 1993, and it is one of ten Slovak villages that have been given the status of a folk architecture reservation. In this village live still people. In village is museum with exposition with “Agricultural house”. Across village cross around 1 hour. It is 21 km from boarding house Limba behind village Svätý Kríž. Originate this church was buildning in Paludza, which was destroyed when was build dam Liptovská Mara. This church build Mr.Lang in 1693 without plane, he could neither read nor write.The church tower was built in 1781 and in 1921 -1922 the old bells were replaced by the new ones. The church have capacity 6 000 people. It is the biggest composition in middle Europe. Price: it is up on you! Info: The footprint is design like rood and ceiling looks like converse bed of boat. Mr. Lang builded also boats. T Any corner have 45 grades. Every village have own seat, there are many creations. Our tip: Wooden articular church is alive church. On Saturday there are weedings. This original watermills are technical memories from 19 century.It is 29 km from boarding house Limba and it is in the end of Kvačianska valley. Enter to valley is in the end of village Kvačany. There is path. Three little streams (Borovianka,Hutianka and Raztocianka) are meating, creating Kvacianka with enough water for watermills.Upper Gajdošovský and lower one Brunčiakovský mill. Top mill is „3 places“, there are coil actuate by water. In past here beated flour and maked shides. In 1931 was rebuild low millfrom „2 places“ on mill and „gáter“, which actuate 2 mill-wheells. Till 1961 was mills settled. On visiting mills plane all day. By car you can come only near beginning of Kvačianska valley next 5 km go afoot near canyon of river Kvačianka. Somewhere is beautiful view down on „riečisko“. Take with us some food, because here isn´t any restauration. This village is famous for alive folklore festival,which is the largest nationwide festival with international participation in Slovakia. It is cca 39 km from boarding house Limba toward Poprad. Inhabitants feed agriculture, stock-raising, rafting, check wood. Inhabitants was famous for delicious chees – sheep cheese. From crafts are here still making basket, weaving, carving, embroiderers. Východná is famous for summer folk festival, which is every year in july in amphitheatre. This festival vistit also people from abroad. The best is visit this village in time of festival. At that time are expositions folk creativity, amphitheatre is alive. Here are many souvenirs, everywhere you can listen music, there are group almost all Europe. Here are also wooden sculpture. It is very nice stop, when you´ll go to High Tatras. This archeological location is on hill Úložisko near dam Liptovská Mara. Here was founded from younger era iron (300 BCE – 180 CE). Now hre is reconstruction kelts habitation Cotini with sacrifice-place from 1 century BCE. Here was find margins burnt sacritices (cereals, jewellery) and in manhole bones from seven people, probably captive religious ceremonial. In 11 and 15 century here was slovanien wooden small castle fortifed Buildings, sacrifice-place basin and another articles was reconstruct and now it is archeological museum in nature. Then here are also reconstructions kelt buildings, „latenská“ bastion and gate, mediaeval apologetic channel, bridge,paving-stone basement wooden habitable tower, now there are also reconstruction mediaeval church. It was declaring on national cultural monument in 1967. The village Likavka is 37 km from boarding house Limba in the direct of Ružomberok on Dolný Kubín. The dominant of village are ruins ancient Likava castle from beginning of 14. century. The castle was how guard canal of river Váh and also considereble business way from Liptov, Považie and Orava to Poland. In castle was military guard-duty and administration kingly assets. Castle had more monarchs, who rebuild it and look up it. At beginning 18 century was castle destroyed and don´t used. Today under castle is amphitheatre. You have to visit castle in nice weather. Came there can from 2 sides- across meadow or by way- cca 1 km from amphiatheater. 500 m from castle is hunter restauration HUBERT. This village is on dividing line Liptov and Orava under West Tatras, cca 47 km from boarding house Limba. The museum spreads over the meadows of Brestova below Rohace mountain in the Western Tatras.To Zuberec you can come through village Matiašovce. Village is centre of turism with own ski center. 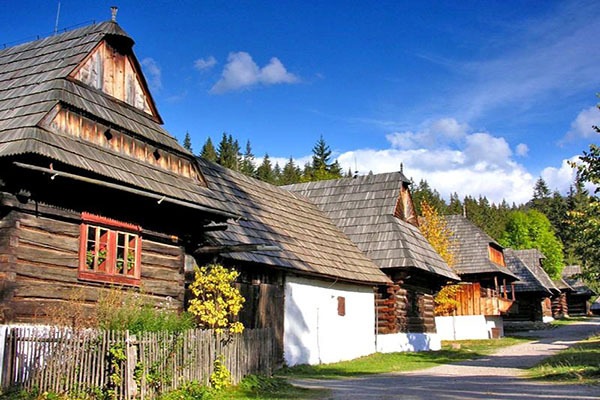 The attraction in village is Open-air museum of Orava village. The museum is divided into five parts: Lower Orava market place – showing a little market town with buildings from the south – western part of the region,Upper Orava Street – show – piece of village with row housesand homesteadsfrom the the period of the Wallach colonization,Goral hamlets showing scattered homesteads in the mountain environment, Wooden church,Mill House with water technology facilities.Every part have characteristic types of building from folk architecture. Here is also function mill, entografic exposition, breeding domestic animals, crafts. For groups with people up to 20 is possible commentary. On reception is possible book stage in open-air museum. Only here you can see make blueprint and colouring materials. The refection is in „Pub at innkeeper“ or in at restauration Koliba. 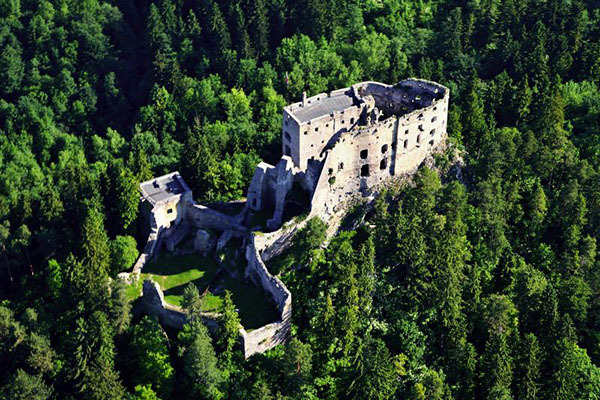 The visiting open-air museum can bind with trip on Orava castle. This restaurant is located just 150 meters from the LIMBA. You can taste it here anywhere else. Goulash from wild or deer, medallion medallions, trout in different ways. The chalet is far 26 km from boardning house Limba on the end of village Žiar cca 1 km above main road. There are specialities from kitchen of region Liptov and Tatras. The food is prepared mainly from sheep cheese, žinčica, slaughter specialities, smoked cheese. Here is also possible grill pig or lamb. This specialities aren´t in others restaurants. If the weather is nice, you can exploit stage. From stage is nice view on mountains West Tatras. The restauration Magdaléna Zai in in new reconstruction Castle and mansion in Liptovský Hrádok, far cca 24 km from boarding house Limba. The restauration is abnormal with good kitchen contain food mainly from fish, poultry, pork and beef meat, salades, chees, pizza, food from vegetables, but also very intristing architecture. The restauration is divided on 3 parts. You´ll feel here like in a castle. 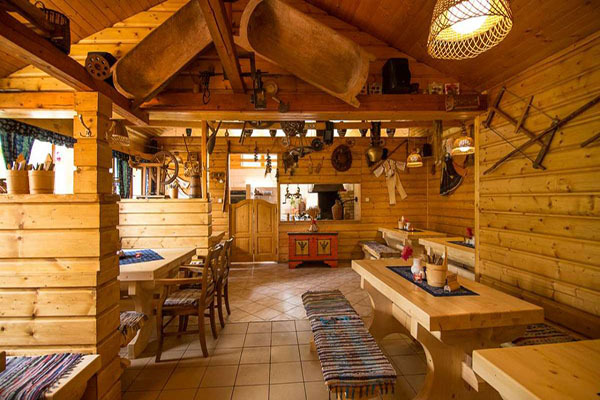 This stylish restaurant is just 150 m far away from pension LImba.There are a lot of specialities like goulash from deer,meal from bear and pecialities from trout. Near restaurant Bystrina is restaurant Poľovník or Hunter which looks like hunter museum. In Koliba prepared food before your eyes. In restauration is gipsy music. Demänovská cave of Liberty is the most visited cave in Slovakia. Located in the Demanovska Valley. It was discovered in 1921, made available in 1924. The entrance to the cave lies at an altitude of 870 m.
Demanovska Ice Cave is located 2 km north of Demanovska Cave Slobody, its entrance is in the Bašta Brass at an altitude of 840 m. The cave created the flow of the Demänovka River. Its original name is Dragon Cave. The only year-round open cave on Liptov is open every day. Located in Liptovsky Jan, 20 km from Limba. You will experience the ultimate experience when exploring the underground with guides. 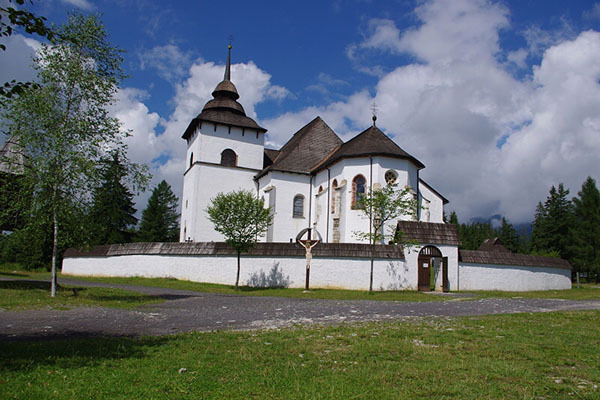 It is located about 44 km from Liptovsky Mikulas, on the outskirts of Važec village. Važecká Cave is 530 m long and the entrance to it is at an altitude of 784 m. The corridors of the cave formed the waters of the White Váh. 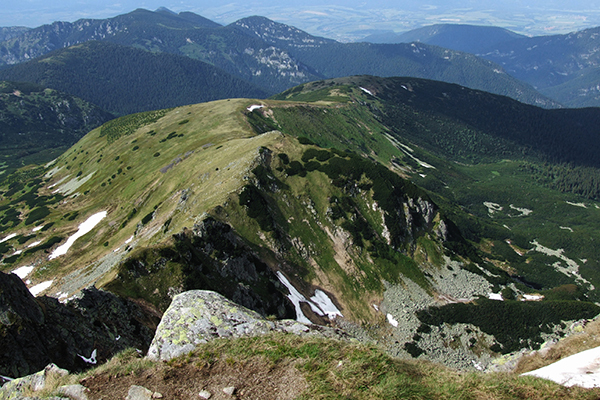 Located on the southern side of the Low Tatras mountain range below Chopok Hill. It is accessible as well as Cave Cave only in the accompaniment of speleologist. Possibility to arrange a cave sightseeing at the reception. 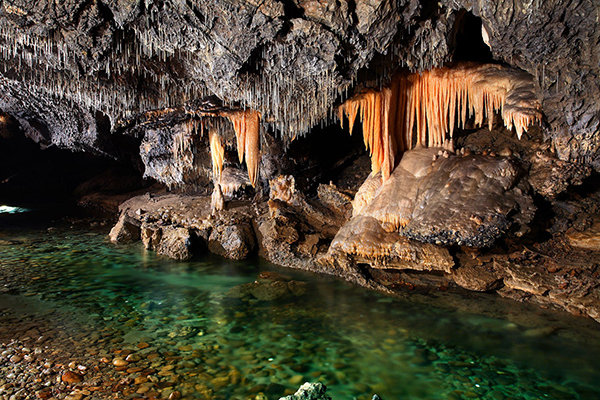 Bystrianska Cave is located on the southern side of the Low Tatras massif on the outskirts of Bystrá. It was created by the limestone submerged waters of Bystrianka river. The cave is divided into New and Old Caves and reaches a length of 1000 m.
Belianska Cave is located 79 km from Liptovsky Mikulas in the eastern part of Belianske Tatry in the Tatra National Park. 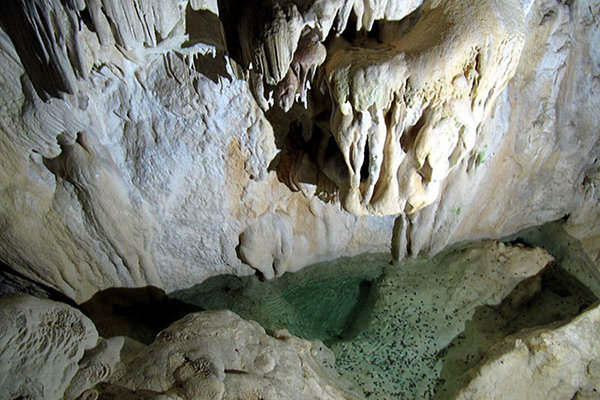 The cave decoration consists mainly of Sinter Waterfalls, pagoda stalagmites and cave ponds. 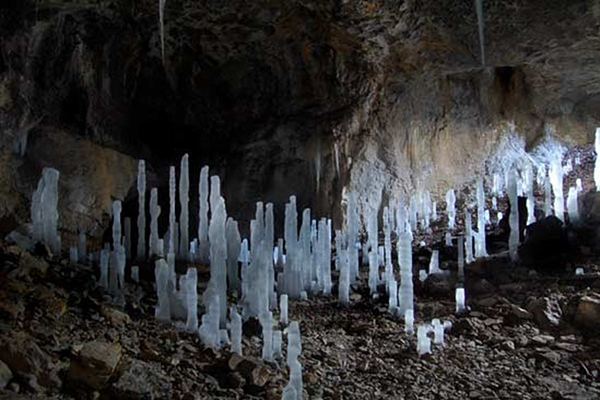 National nature monument Dobšinská Ice Cave is located 113 km from Liptovský Mikuláš on the territory of the National Park Slovak Paradise. The limestone decoration was created by the river Hnilec. From Liptovský Mikuláš it is about 82 km away, near the town of Banská Bystrica in Lower Harmony. Famous is the white soft sintra decoration. Attention is paid to stalagmites, sinter waterfalls, curtains and sintro ponds. Demänovska cave of Liberty is situatd in Demanovska valley.The caves was discovered since 1921 and a part of the cave has been open for public in 1924.Entry to caves is situated in 870m above the sea.Entrance to cave is from parking-place a long way off cca.15 minutes by walk.Underground spaces this cave creating river Demanovka.Demanovska cave of Liberty has intristing system of corridors,underground halls,abundant stalagmite decoration.You can admire stalagmites,stalagnates,stone waterfalls,lakes with pearl,abyss of parachutist,cave waterfall,wich is long 60 m or cave organ-system of stalagmites,when you tap on this stalagmites,then start to make tones of scale.Passage of suffering,which is not widely like span your arms and high is 160cm. From 1993 Demanovska cave of Libetry is national cultural memory and serving for speleotherapeutical procedures. Entrance to cave is from parking-place a long way off cca.15 minutes only by walk.So don´t forget visit cave early! Temperature in the cave is 4-6 °C,damp of air reach 98%. Don’t forget warmer clothes and good footwear. In the cave waiting for you more then 900 stairs,expert guide and interpretation in 4th world languages. Circle of cave exist 1 hour or 1,5 hour. Open: 21.1.-31.5.,1.9.-15.11. and 27.12.-31.12. is entrance at 9.30,11.00,12.30 a 14.00. 1.6.-31.8. is entrance to cave every hour 9.00 – 16.00. Attention!-cave is close every Monday!!! Demanovska ice cave is situated 2 km northern of Demanovska cave of liberty with entry in cliff Bašta 840m above the sea.The cave creating river Demanovka.Her original name is Dragon cave.Entrance to cave is from parking-place a long way off cca. 15 minutes by walk.Demanovska ice cave is well-known of discovery bones from bear and inscriptions on the walls. 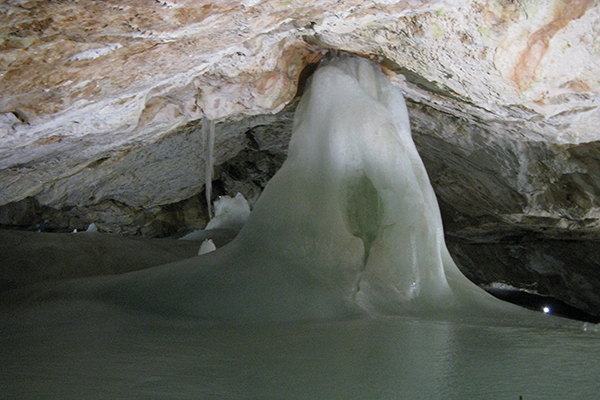 The part of cave creating ice formations.Freezing water creating mighty ice pillars.For public is open 650m and visiting exist around 45 min.You can find here statue of Budha. For lover walking touristic is chance to go from cave of Liberty to Ice cave by touristic sidewalk in the wood. Interpretation in 4th world languages. Open: in 1.1.-14.5. and 1.10.-31.12. is cave close! in period 15.5.-31.5. and 1.9.-30.9. is entrance at 9.30,11.00,12.30 a 14.00 hod. in period 1.6.-31.8. is entrance every all hour from 9.00–16.00. 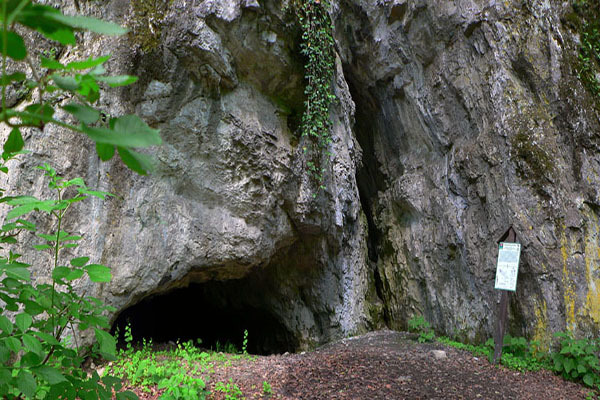 The only one cave in Liptov region which is open every day, all year round. It is located in Liptovsky Jan, 20 km from guest-house and apartments Limba***. You will get great and unforgettable experience while exploring the undegroung with a professional guide. You will walk along amazing walls. Water and nature gave them indescribable shapes. 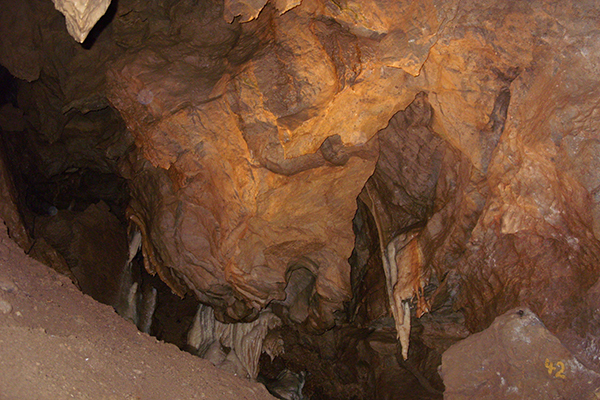 Cave is open every day, also on Monday. The excursion takes 45-60 minutes. 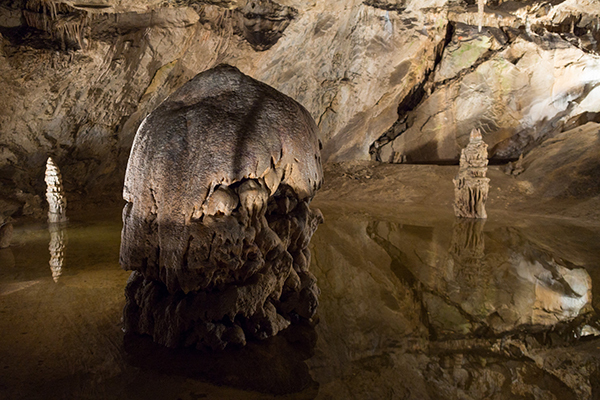 This cave is situated 44 km from Liptovský Mikuláš border of the valley Važec.Vazecka cave is long 530 m and entrance to cave is 784m above the sea.The corridors created water of Biely Váh.Vazecka cave is istristing with only white colours stalagmites and stalagnates.They form remind beautiful countrysite. The visit exist 25 minutes. In the months from 6.-8. entrance is open every hour from 9.00-16.00h. Bystrianska cave is situated on the southern border of Low Tatras-valley Bystrá.It was formed in the middle triassic limestones by ponor water of Bystrianka stream.The cave is divided on the old and new cave and her length is 1000 m.Entrance to old cave knews local inhabitants and took chance like shelter during 2.world war.The cave was open in 1968. Entry to cave is from parking-place in Bystra. Temperature in the cave is 5,7-6,7 °C,damp of air reach 92 – 98%. Don’t forget warmer clothes and good footwear!! The visit exist 40 minutes and it is long 545 m. Interpretation in 4th world languages. The cave is open in the month from 1.-5. and 9.-10.at 9.30,11.00,12.30,14.00h. In winter and every monday is the cave close! The cave is situated on the southern border of Low Tatras under the hill Chopok.You can visit this cave only with guide.Chance to indemnify for visit in agency. Don´t go to this cave without speleolger! We mediationing for you visit cave. You will be need good footwear,warm clothes,courage and good condition. Belianska cave is situated 79 km from Liptovský Mikuláš in the eastern part of Belianske Tatras, in the territory of the Tatra National park.Belianska cave decoration creating first of all sinter waterfalls,stalagmites and lakes.Entry parts to cave discover goldmen ,already in 18.century.At the present time is open 1370 m of the cave for public. 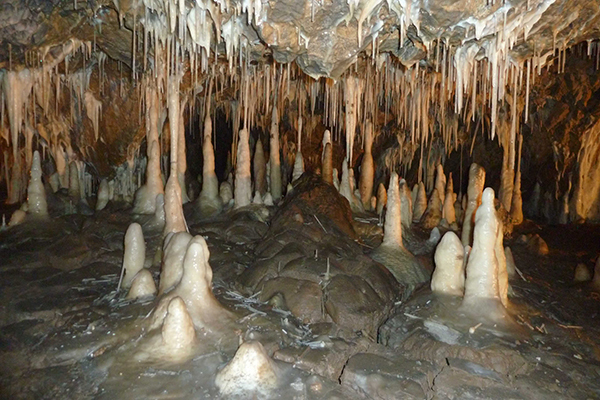 The cave is used for speleoclimatical staying. Entry to cave is from parking-place in Tatranská Lomnica. Temperature in the cave is 5-6,3 °C,damp of air reach 90 – 97%. Interpretation in 4th world languages. The visit exist 70 minutes. The cave is open in the month from 1.-5. and 9.11. at 9.30,11.00,12.30,14.00 h.
In the months from 6.-8. entrance is open every hour from 9.00-16.00 h.
Dobsinska ice cave is situated 113 km from Liptovský Mikuláš,in the territory of the Slovak Paradise National Park.Dobsinska ice cave belong to biggest caves of this species on the world.The ice decoration creating: ice,ice waterfalls,stalagmites and pillars.The ice reach thickness is 26,5 m.This cave is home for Bat Bearded and for Brandt Bat.This cave discovered in the 1870.At the pesent time is open 515 for public. 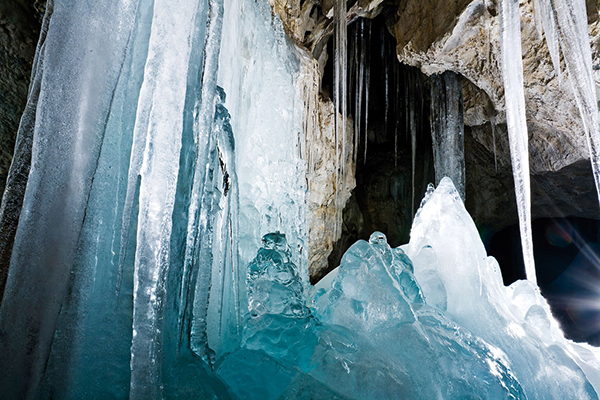 Temperature in the cave is -4 to 3,5 °C,damp of air reach 75 – 90%. Interpretation in 4th world languages. The visit exist 30min. Attention!! The cave is open only in the summer!The cave is close every monday! The parking-place is situated near chief road,from where you have to go by mountainous sidewalk cca. 10 minutes to entry to cave. From 5.-6. and 8.-9. is entry at 9.30,11.00,12.30 and 14.00h. From 6.-8.entrance is open every hour from 9.00-16.00. When you will be there,don´t forget to visit manor-house Betliar. From Liptovský Mikuláš is this cave distant 82 km,near town Banská Bystrica.The cave is intristing with stalagmites,sinter waterfalls and sinter lakes.In this cave living 11 comrades of Bat.The cave discovered in the 1932.At the present time is open 1020 m for public. The visit exist 60 minutes. Interpretation in 4th world languages. Temperature in the cave is 5,8 – 6,4 °C,damp of air reach 94 – 97%. The cave is closed every Monday!